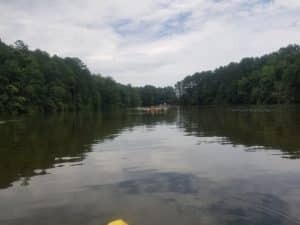 Last week our family went for a paddling adventure on a local lake. This was our second full day outing on the lake. We took paddleboards and kayaks and went out for the day. We packed a lunch and all of our essentials in our POG Dry Bags to insure our neccessities stayed together and dry. There are few things worse than a wet towel, soggy sandwich and ruined camera gear. Thankfully, our POG dry bags kept our goods nice and dry. We assembled the gear and our watercraft on the dock to prepare to launch. 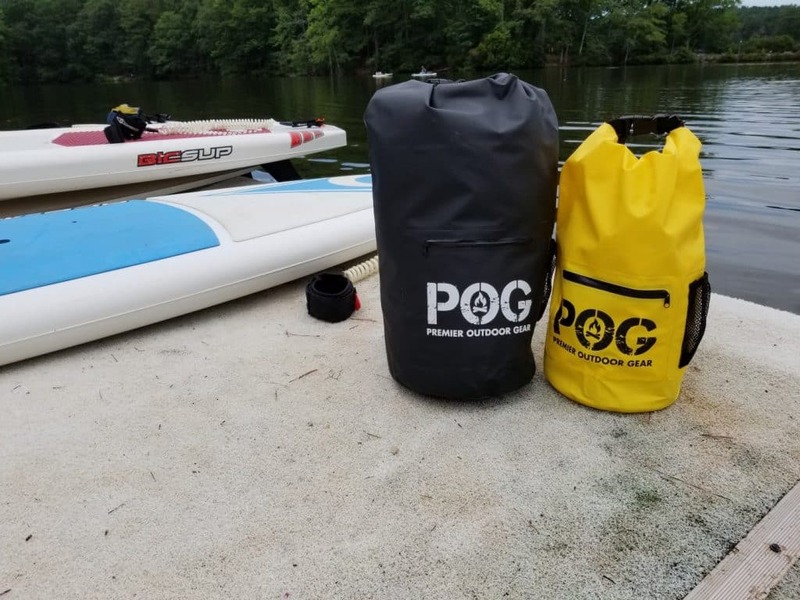 We have several POG Dry Bags in diofferent colors and sizes to help keep our gear sorted, safe and above all dry. 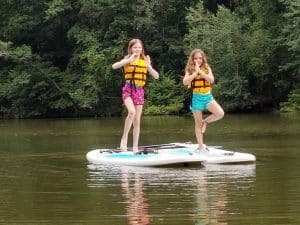 As yoga class ended, we moved on to paddle to the headwater of the lake. There we found a nice rock for a rest and a leisurely lunch. Chips were not stale nor soggy and the sandwiches satisfied the appetite that we had worked up paddling the length of the lake. 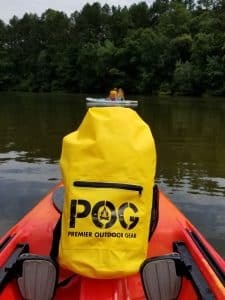 Our POG Dry Bags had done the job of keeping everything dry. Everyone enjoyed the break and we moved on to paddle and explore a bit. As I used my cellphone for a lot of these pictures, having the waterproof compartment on the outside for easy access to my phone is a great feature of the POG Dry Bag and sets it apart from others. As often happens in family outings, a bit of squabbling over space on the beach led to a mishap. 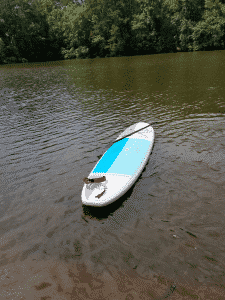 The paddleboard was recovered by Dad and none the worse for its solo venture out onto the water. The girls decided to take a mid-paddle conference in the center of the lake. The boys continued to paddle upstream. I believe that they were trying to work out a way to combine their paddling efforts to become a catamaran. The venture ultimately failed, but they had a great time trying. We ended the day by slipping into dry clothes for the trip home. 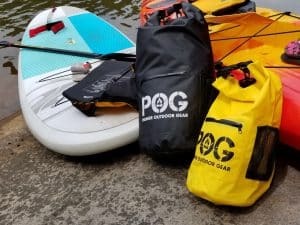 Thanks to POG, all of our gear stayed dry and the trip home was comfortable. Stay tuned for our next adventure.